I’m not sure, I didn’t ask to see ID. Haha! But her accent sounded Taiwanese. Not so surprising, my grandma would do that if she ever goes to a salon. The thing is, she spends her whole like in a country side as a farmer. She grew up with very little money. She wouldn’t be able to understand why people can’t throw things on the floor, because she’s never lived in a house where she needs to take off her shoe, there are even dogs and sometimes chicken running around in the house. She used to brush her teeth and then spit the foam out on the floor in front of her house until my dad, who moved to big cities after uni and is more “civilised”, stopped her. If you have ever visited a traditional market or real country side, you wouldn’t find it surprising. Of course it is rude, but rude people are everywhere. Thank you so much for sharing that. It really opens my eyes and explains a lot! It’s all a matter of lifestyle and perspective, and in the environment you describe, it doesn’t seem “rude” at all to toss a bone on the floor. Some other animal would probably come by and nibble on it. In fact, it could be seen as a generous gesture in that case. Your comment makes me realize that what we consider “rude” is really only a cultural perspective, and there is no objectively “rude” behavior if you strip away the cultural point of view we are judging from. Thank you so much for your comment, it really is insightful and I deeply appreciate it! Excellent conversation between you two. 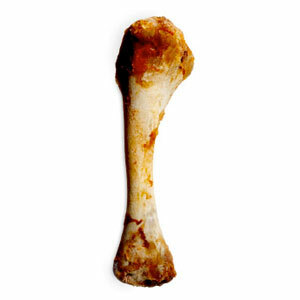 It’s the norm to throw bones on the floor when eating out in Vietnam. (It all gets swept away after the group leaves.) But I would be pretty surprised if someone did it in a salon. PS. Great to see you blogging again! I love reading your stories. I totally know what you mean about the rude grannies. I was in Taiwan last month and definitely got pushed around, trodden on and pointed at quite a bit by the older generation – it seems that wherever you go in Asia, the elderly follow their own rules!! What amazes me is how quickly this stuff changes. I remember reading that Taiwanese manners 40-50 years ago were about where China’s are today. It’s fascinating. I want more data points. I’m still amazed when I see people smoking in the restaurant and not only flicking their ashes on the floor, but putting their butts out on the floor too. Even a carpeted floor! But then, this is the mainland. Great observation!